Decorating your home can be expensive, which is why a lot of people choose to leave bare spaces. However, this will make the house lack character. 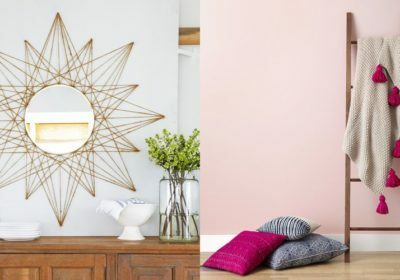 With this, if you want to create an aesthetically-pleasing design without breaking your wallet, take note of the DIY decors that will be briefly mentioned below. One of the easiest decors you can make on your own is wall art. It will make the walls talk. If you have artistic skills, this will also be the perfect way to show off your talent. You can make personalized prints or even a painting on canvas. This will work best if you have walls with a solid color and if space does not have a lot of accent pieces. A single large artwork will be more than enough to breathe life into your walls. If you do not have artistic skills, no need to worry. Shutterfly can help you to come up with personalized décor! For those of you who cannot paint or draw, displaying photos on the wall is a great alternative. You can print the photos that you love that are stored in your phone. If you have a Polaroid, you can also use the prints. A gallery wall is basically a collection of different photos on display. You can choose the same or varying sizes. You can have them printed or displayed bare. If you want a more elegant effect, choose larger photos and add a spotlight. This will make your home look like an art gallery or museum. With a DIY refurbished furniture, you are not only able to save money, but you will also be able to help save the environment. Rather than throwing old furniture, you can give it a new life. An old dresser, for instance, can be painted with colorful patterns to make it an eclectic piece in the bedroom. An old wooden chair can also be refurbished by giving it a new layer of paint. While it is convenient to just buy a pillowcase, it will be good to have them designed on your own. This makes it more meaningful while adding aesthetics to your space. Choose bright colors to give more energy to your living room. Even if you do not know how to paint, this is going to be easy since you can just make random patterns. It is not only pillowcases that you can paint. You can also paint old bottles and put them into good use rather than being thrown in the trash. Start by painting it first with plain white color and add geometric elements or patterns using bright colors that will stand out amidst the background. Use these bottles as makeshift vases. Add colorful flowers to make them look prettier. As it has been shown above, with a bit of an effort and creativity, you can make a DIY décor on your own! It does not cost a lot and it will make your home more meaningful!